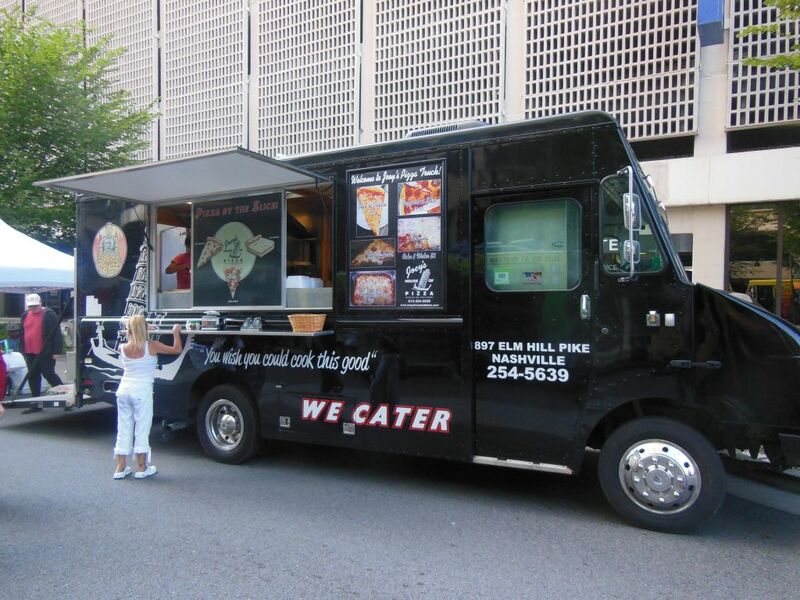 When local radio station Lightning 100 kicked off the sixth season of its Live on the Green outdoor concert series, there was a new addition to the line-up of food trucks parked along Deaderick Street. 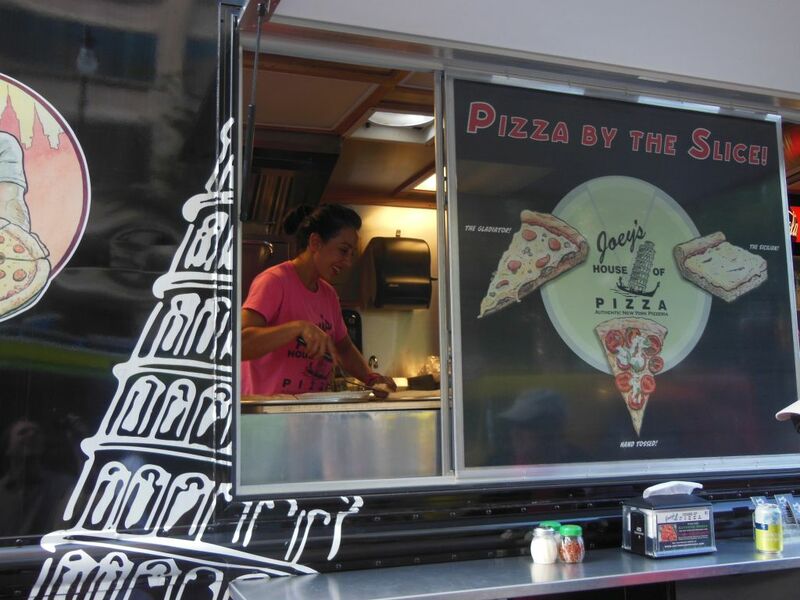 Joey’s on Wheels, the pizza truck run by Joey’s House of Pizza, was there doing a brisk business. 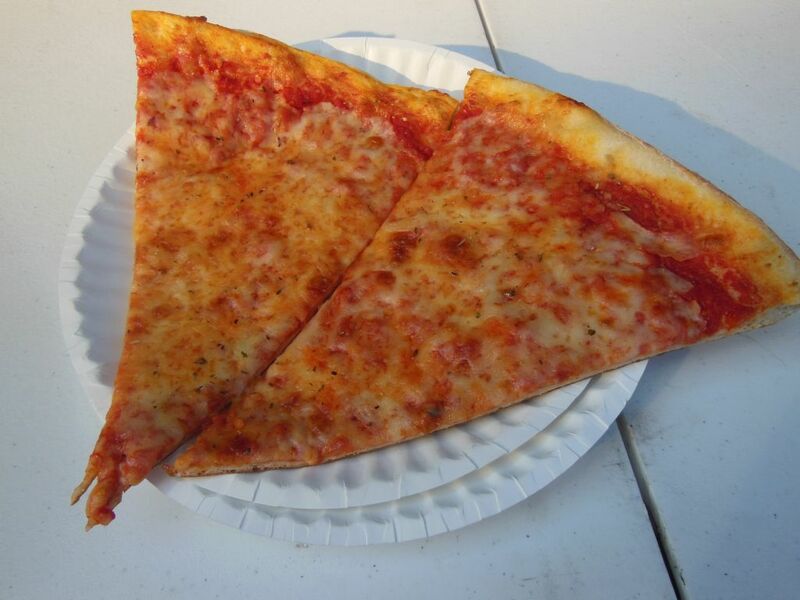 At usual captive festival prices, they were selling cheese ($4.50) or pepperoni ($5.50) slices as well as their famous Gladiator ($10.00). Yours truly will attest that the truck product was no different from the usual pizza perfection of their regular Nashville location. 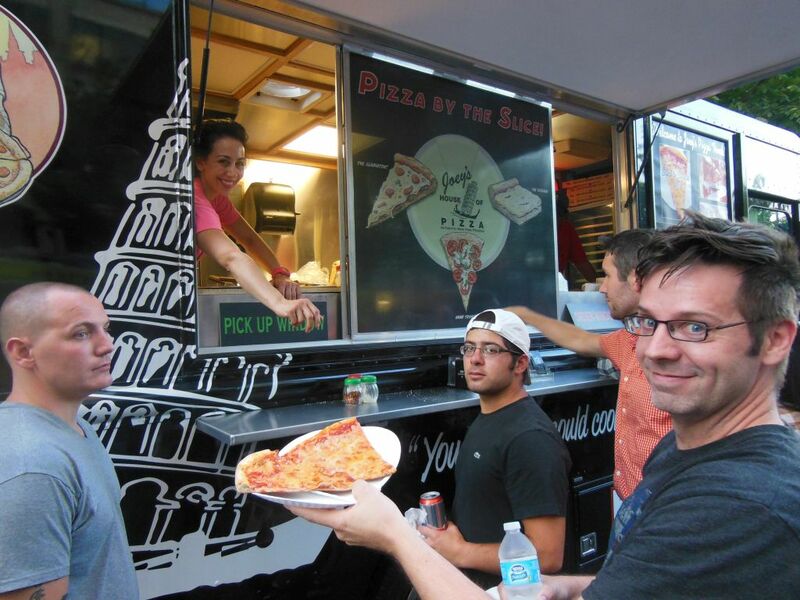 You can visit the Joey’s truck at Live on the Green (downtown in front of the Courthouse) for two more Thursdays (August 21 and 28). They will not be there for the three-day weekend series finale due to a prior commitment. Watch their Facebook page for future appearances by the truck. It’s also available for private catering!